This special package of BYD B-BOX Pro 13.8 kW Battery Storage with Victron MULTIPLUS-II includes all the components to connect your system. This can be also joined to up to 32 cabinets. If this is not too much power. Thanks to the new cabinet design, the name as a power package is also optically clear. The technical data does the rest to confirm. The BYD B-BOX Pro 13.8 kW Battery Storage with Victron MULTIPLUS-II is a custom solution that is designed specifically for the small-scale micro-grid projects due to its high discharge power and scalability. Each B-Box PRO 13.8 supports a continuous discharge rate close to 1C which is extremely useful in larger off-grid situations and there can be up to 32 batteries connected in parallel which translates to a maximum storage capacity of 441.6 kWh per system. This allows the unit to fit a particular niche market where the battery capacity might be too small for containerised solutions to make economic sense but also too large for the usual residential solutions. There are 2 variations of the BYD B-BOX Pro 13.8 kW Battery Storage System – Rack Mounted. One has 4 battery components and the other has 2 battery components. This is the only difference and you may receive either version. Please ensure you use the correct manuals when installing your battery available under the Documents tab, along with the data sheet for both versions. Founded in 1995, BYD is a listed company on Hong Kong Stock Exchange and Shenzhen Stock Exchange. We principally engaged in IT industry mainly related to rechargeable battery business, handset and computer components and assembly services, as well as automobile business including traditional fuel-powered vehicles and new energy vehicles while taking advantage of our technical superiority to actively develop other new energy products such as solar farm, energy storage station, electric vehicles, LED, electric forklift, etc. Currently, BYD has nearly 180,000 employees and 22 industrial parks in global with an area nearly 17,000,000 square meters. Join our ZERO Home Bills Community. 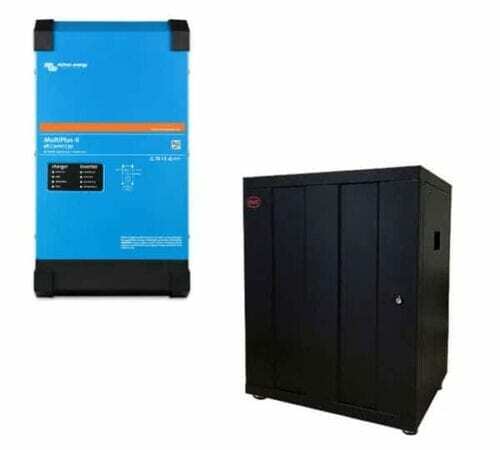 The BEST Energy Storage Packages from the BEST Li-Ion Battery Storge manufacturers at BEST Prices for ZERO Home Bills on ZEROhomebills.com by Solaranna.